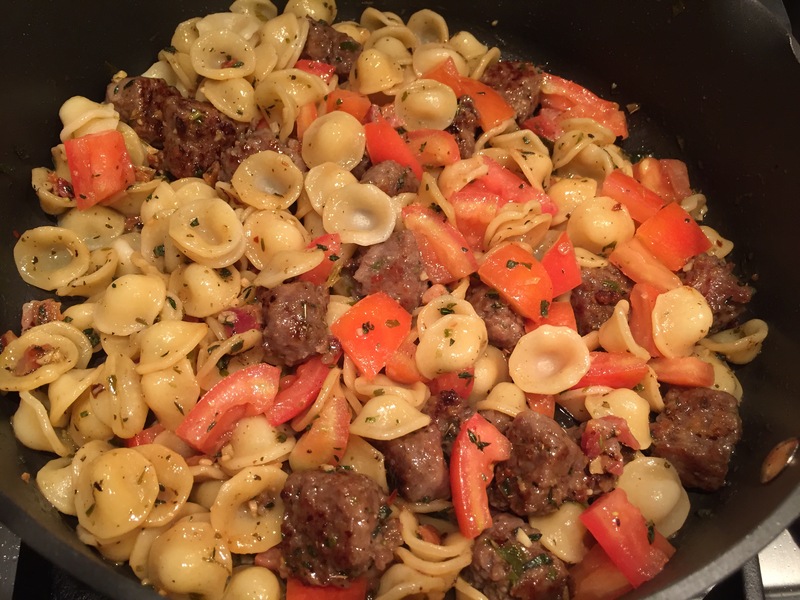 The Mister’s Orecchiette | What's To Eat Today? The secret ingredient was diced pancetta, cooked up to just this side of crispy. After browning the pancetta, drain on a paper towel and set aside. 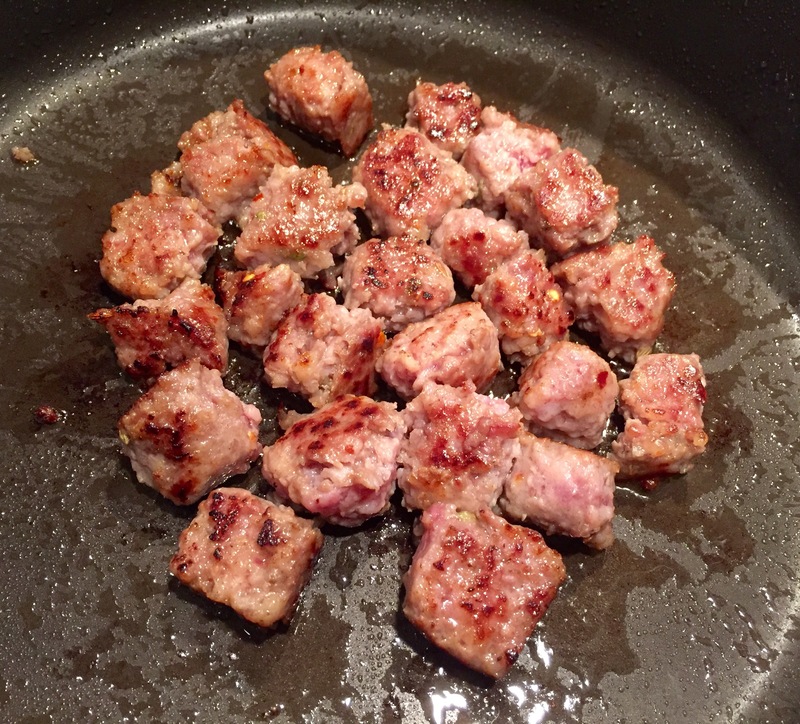 Next up, mild Italian sausage formed into rustic square-ish meatballs and cooked on medium high heat. Once cooked thoroughly, remove and drain on a paper towel. The pot of water is on to boil. The orecchiette is standing by and keeping the cheese company. 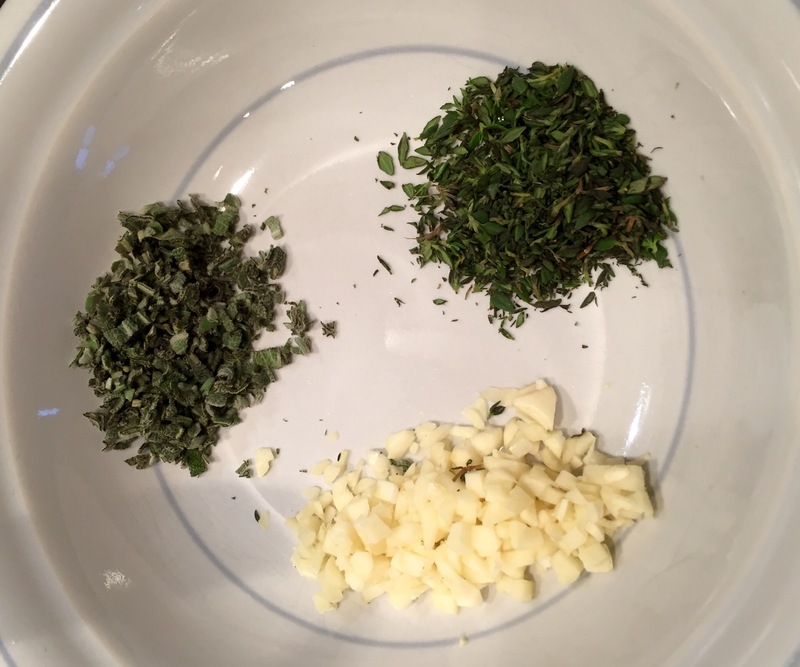 Fresh sage, thyme and garlic — peeled, rinsed and minced. 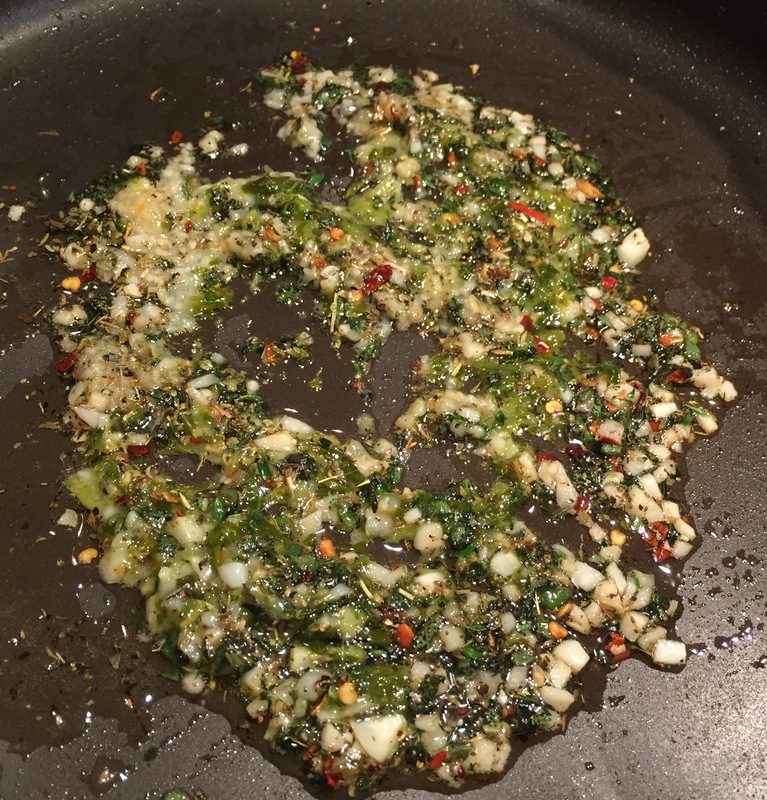 Olive oil infused with sage, thyme, garlic, red pepper flakes and basil. 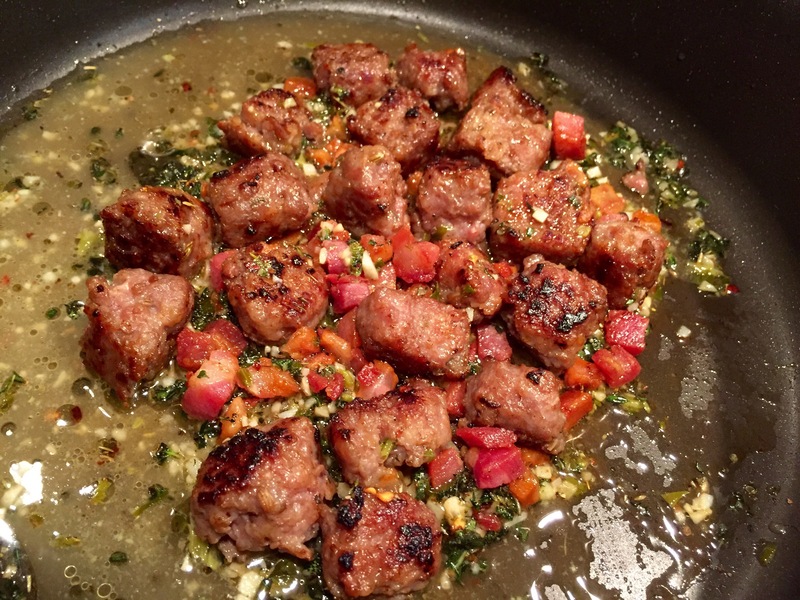 A sprinkle or two of Tuscan seasoning thrown in for good measure. Turn the heat on very low for 5 minutes. 1/4 cup chicken stock into the pan along with the cooked diced pancetta and Italian sausage. Heat on medium high heat for a few minutes. 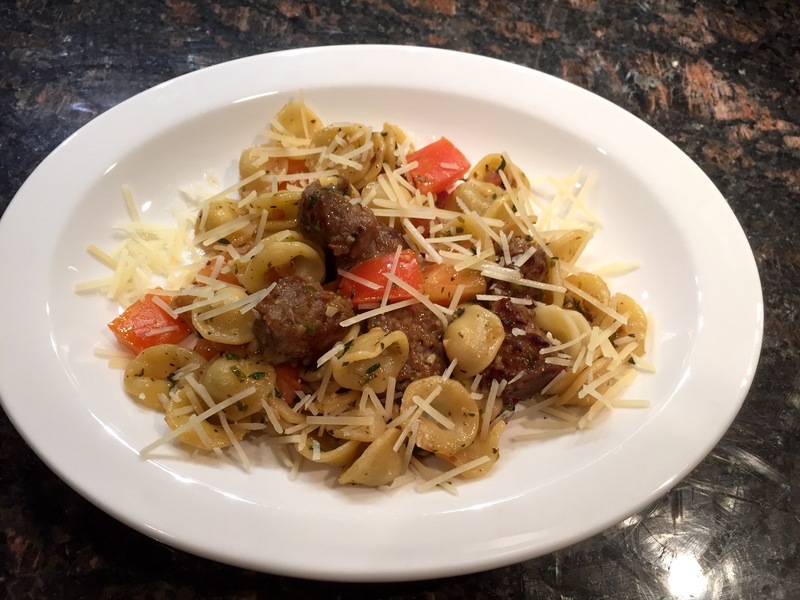 By now the orecchiette has finished cooking. Drain well and add to pan. Heat on medium high heat for 2-3 minutes. Add the Roma tomatoes in the last minute and give it all a good stir to combine well. 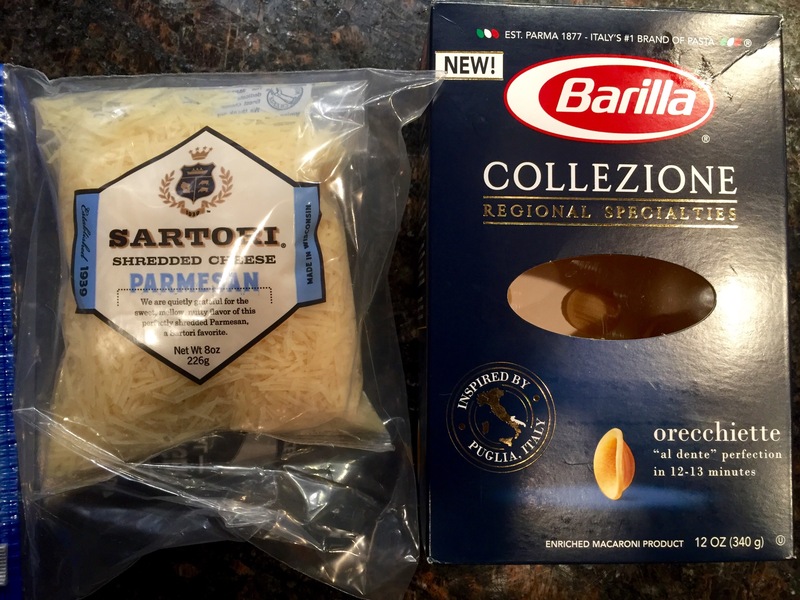 Serve with a nice sprinkling of shredded Parmesan cheese. Mrs. b, was this a meal kit or Mister’s creation? Looks WAY ono! The Mister! It was way ono!